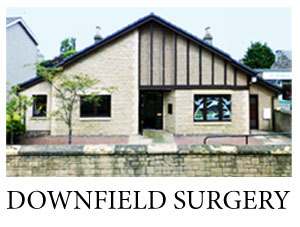 The doctors and staff at Downfield Surgery are committed to providing the highest standard of patient-centred healthcare. We run many clinics for the management of chronic diseases such as asthma and diabetes and offer a wide variety of other medical services including antenatal and postnatal care, minor surgery, childhood vaccinations and well-person checks. We also offer private medicals including UK Oil & Gas, HGV and Taxi Medicals. Situated on Strathmartine Road, the surgery covers Dundee and areas slightly to the North and East of the city. The surgery offers ample parking and is fully adapted for disabled access. We also offer GP and nurse appointments at The Ardler Clinic, situated on Turnberry Avenue.